These pajama tops with attached scratch mittens will prevent scratching and protect the skin from additional irritation. Flat seams and rip off tags allow for greater comfort than traditional pajamas. The organic cotton material is a soft, medium weight that is suitable for all climates. Buy the coordinating bottoms: Footed Pajama Pants. Or try our One-Piece Footed Pajama. Closed scratch mittens with protective double layer of fabric. Sizes are in centimeters. 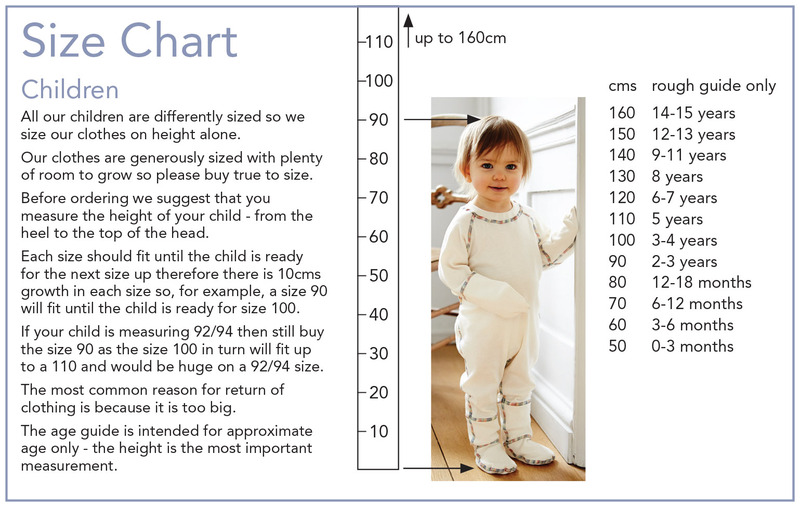 Measure the height of your child from the top/crown of the head to the bottom of the heel. Sizes are generous and based on height, not age. Please order true to size/measurements.